As sea ice shrinks, polar bears are coming into more towns more frequently to find food. Churchill, Man. is ahead of the curve in figuring out how to deal with that. A Russian town invaded by polar bears could learn a few lessons from Churchill, Man. 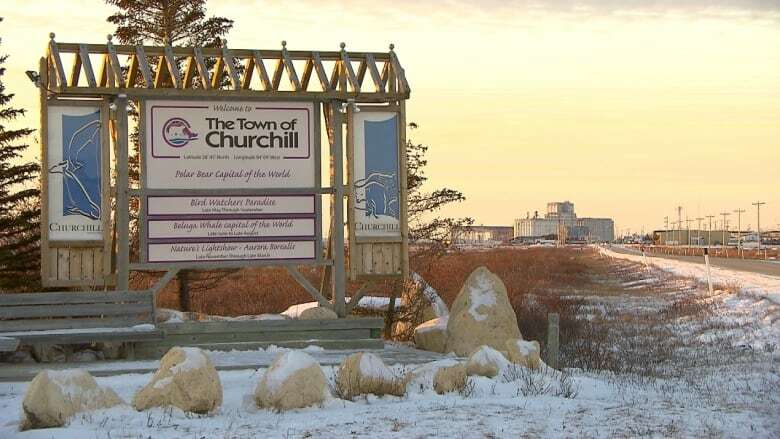 Churchill, Man., is the kind of place where residents often leave doors unlocked so their neighbours have a quick escape should they come face-to-face with a polar bear. "For most people who live in Churchill, it's just daily life," said Geoff York, senior director of conservation for Polar Bears International, which has a centre in Churchill. "It's a part of the fabric of that community." In a week that saw more than 50 polar bears descend on an Arctic Russian town, sauntering into people's homes, York said it's time for communities North of the 60th parallel to start preparing for the same. He points to Churchill as a good example of how to coexist with polar bears. The town — which is called the polar bear capital of the world — has developed certain strategies to minimize the conflicts between the bears and the residents. In the early 2000s, they closed their open-air dump, so polar bears wouldn't have any reward if they strolled into town. 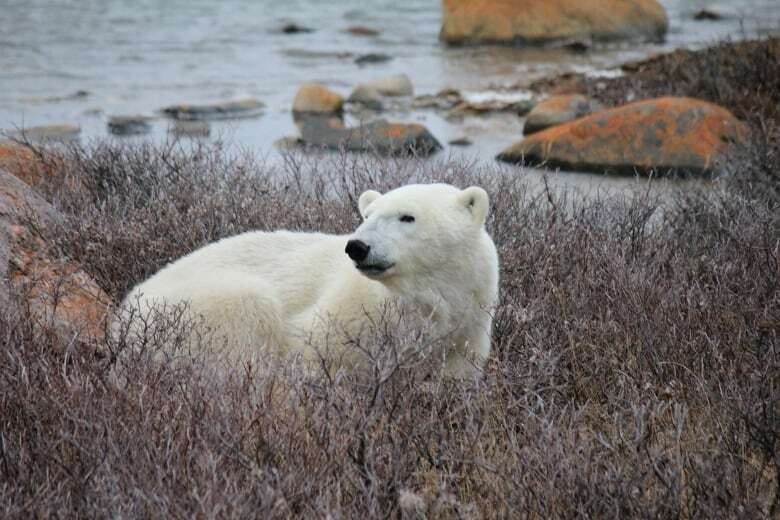 The Manitoba government helps to provide a polar bear alert program in Churchill, where conservation officers patrol looking for bears, and respond to citizens' reports. But there's only so much the human eye can do, York said, because polar bears are often difficult to see. That's because their fur is not entirely white, he explained. In fact, it is translucent, and can pick up the colours of whatever is around the bear. "They can blend in with the topography," York told Day 6 host Brent Bambury. "They can just disappear in fairly low brush pretty quickly." In order to avoid relying solely on human eyes, Churchill is testing out a military radar to detect polar bears before they even come into town. 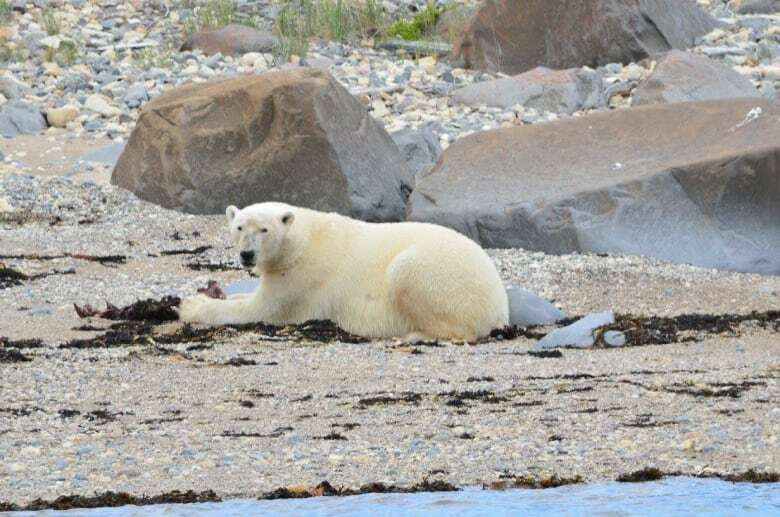 The hope, York said, is to teach the system to recognize polar bears, distinguishing them from dogs, people, cars, or boulders, and deter them from strolling into Churchill using strobe lights or loud noises. He said Arctic communities, even ones that haven't experienced many polar bear encounters, should start preparing for them. "As the sea ice pulls back more and more, we have longer open water seasons. We're seeing polar bears in more places on land for longer periods of time," said York. Prepare to defend yourself. A bearspray is your best bet, says York. It works well against polar bears, but it's often hard to come by in the North. Flashlights, bear bells, an air horn or a firearm are other ways to protect yourself. Do not play dead. York said a Russian TV network was advising the residents of the town to play dead if they encounter a polar bear. "That is one of the worst possible things I can imagine doing in a polar bear encounter," he said, because polar bears are "obligate predators," so they will think you are prey. Try to de-escalate the situation. Get inside a car, a house, or anywhere you'd be safe. Prepare to fight. Use rocks, sticks or "anything at your disposal," York said. If you heed his other tips, it will hopefully not come to this. To hear the full conversation with Geoff York, download our podcast or click the 'Listen' button at the top of this page.